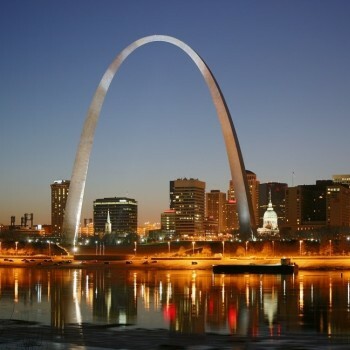 The history of Missouri begins with settlement of the region by indigenous peoples during the Paleo-Indian period beginning in about 12,000 BC. Subsequent periods of native life emerged until the 17th century. New France set up small settlements, and in 1803 Napoleonic France sold the area to the U.S. as part of the Louisiana Purchase. 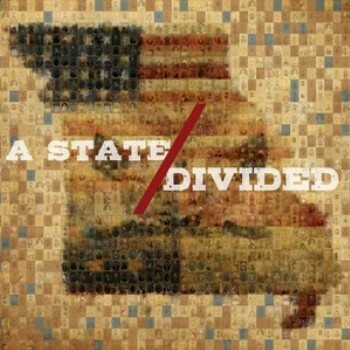 Statehood for Missouri came following a compromise in 1820 that allowed slavery. Settlement was rapid after 1820, aided by a network of rivers navigable by steamboats, centered in the dominant city St. Louis. The Civil War saw numerous small battles and control by the Union. After the war, its economy became more diverse, and railroads, centered in Kansas City, opened up new farmlands in the west. In the early 20th century Progressive reforms sought to modernize state and local government and minimize political corruption. During the 20th century, Missouri's economy diversified further, and it developed a balanced agricultural and economic sector. By the 21st century manufacturing was fading, as service industries grew, especially in medicine, education and tourism. Agriculture remained profitable, as the farms grew larger and fewer people lived on them. The Missouri Compromise settled the question of slavery in the United States for many years. Its repeal would bring about conflict that would lead to the Civil War. Historical books of Missouri and prominent figures in its history. Thomas Jefferson, the 3rd President of the United States, purchased the Louisiana Territory from France in 1803 for $15,000,000. The Louisiana Purchase made the land, that would later become Missouri, part of the United States. After the Louisiana Purchase, Thomas Jefferson sent a group of explorers to explore the new land and to find a quick water route to the Pacific Ocean. The group was lead by Meriwether Lewis and William Clark and was called the "Corps of Discover". After Lewis and Clark returned from their journey west, pioneers and trappers began to move west in hopes of finding a better life. 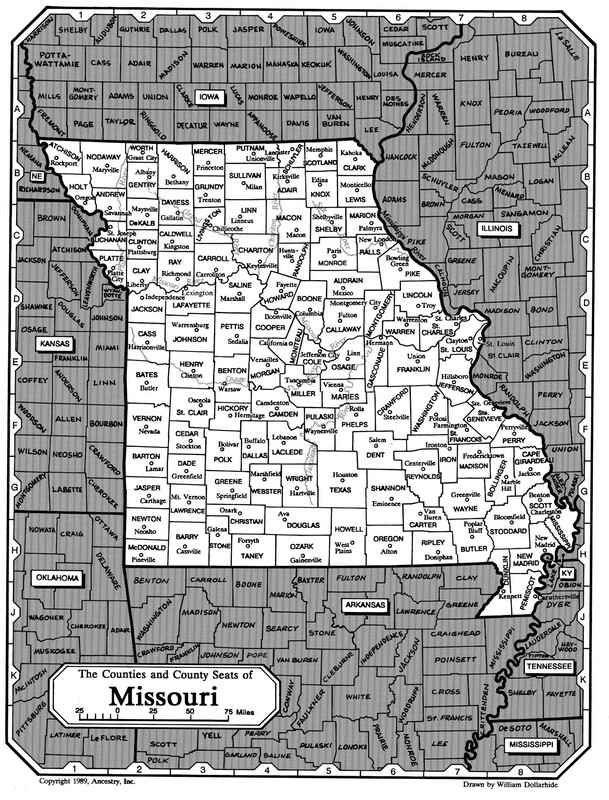 In 1812, Missouri became a Territory. William Clark was the first governor of the new Missouri Territory. 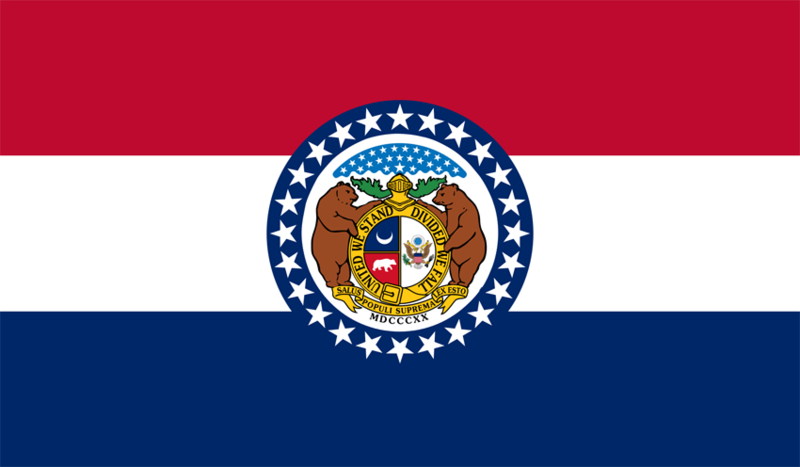 By 1818 Missouri had 60,000 residents living in the Missouri Territory which allowed them to apply for statehood; however, being a slave state Missouri was rejected for statehood. In 1820, Henry Clay came up with the Missouri Compromise which allowed Missouri to become a slave state if Maine would join the Union as a free state. 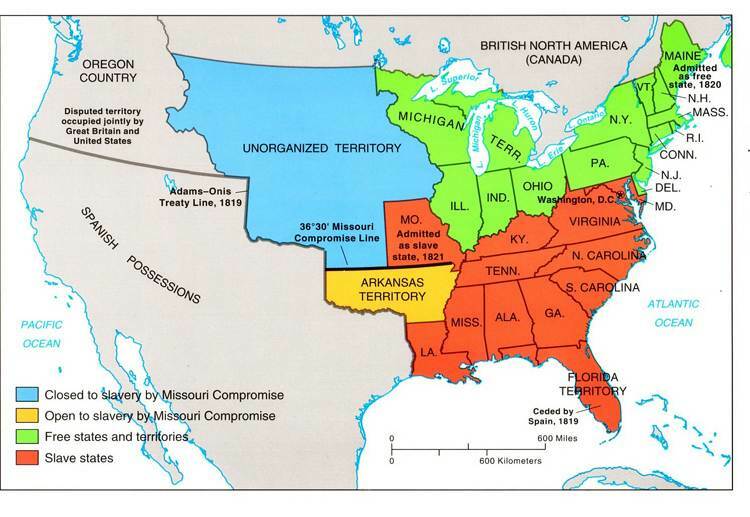 A compromise was made and on August 10, 1821 Missouri became the 24th state to join the Union. During the Civil War, Missouri was a border state that sent men, armies, generals, and supplies to both opposing sides, had its star on both flags, had separate governments representing each side, and endured a neighbor-against-neighbor intrastate war within the larger national war. The "Show Me" state was admitted as the 24th state on 10 August 1821. 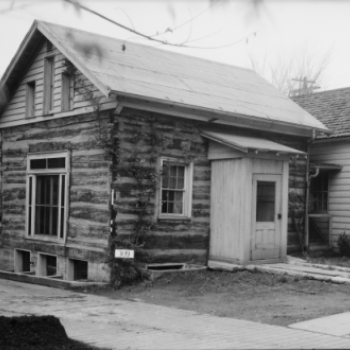 Missouri was named after a tribe called Missouri Indians; meaning "town of the large canoes"
President Harry S. Truman was born in Lamar, May 8, 1884. In 1865 Missouri became the first slave state to free its slaves.